In the era before psychiatric drugs – when state institutions were over-flowing with mentally ill patients often living in snakepit conditions – hospitals, families, and the press were eager to embrace “miracle” cures like the “ice pick” lobotomy. For over two decades, Freeman – equal parts physician and showman – became a barnstorming crusader for the procedure. He traveled in a van to 55 psychiatric hospitals across the country, performing and teaching the transorbital lobotomy. Before his death in 1972, he’d crossed and re-crossed the nation 11 times, and had performed the “ice pick” lobotomy on no less than 2500 patients in 23 states. Freeman operating at Western State Hospital, Washington State, in July 1949 / © Bettmann/CORBIS. Sallie Ellen Ionesco, the first patient to receive a transorbital lobotomy from Dr. Freeman, Virginia, May 2004. / Harvey Wang. Warning: Some of following images are graphic. A childhood photo of Howard Dully. A photo of Dully’s stepmother, Lou. An excerpt from Dully’s medical records. 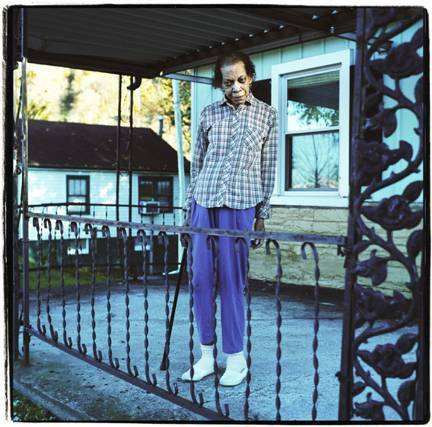 Helen Culmer is 76 years old and lives by herself in Point Pleasant, West Virginia (photo by Harvey Wang). In 1954 she was a nurse at an all-black hospital for the insane. My name is Helen Culmer. I was a nurse at Laikin State hospital in West Virginia for 34 years. In 1954 I assisted Dr. Freeman in doing a transorbital lobotomy. I was a new nurse at the time and I was drafted to work in there with him. Had no idea about what I was getting into. But I was curious and I wanted to see it. And I saw it…. Oh my, the room was full of people! Everybody wanted to see what’s going on, people from town and everywhere else come up to witness this occasion. It wasn’t… It wasn’t what I thought it might be. To me it was cruel. But that was my opinion. I was just doing the job I was employed to do. Remember I’ve seen all kinds of things in my line of work–so if I stopped and dwelled on each little thing, I’d be hurting. 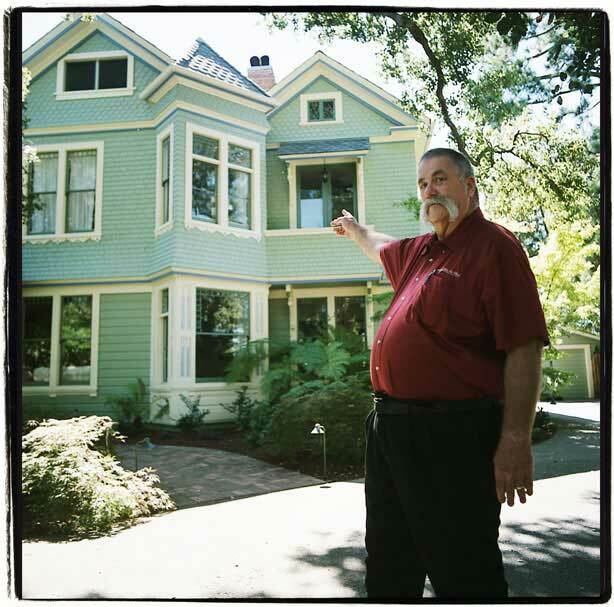 Wolfhard Baumgartel lives in Albany, Ohio (photo by Harvey Wang). I am Wolfhard Baumgartel. I’m 82 years old. I was a staff physician at the Athens State Hospital in Ohio in 1954. Not long after I started at the hospital, I had the opportunity to watch Dr. Walter Freeman perform a series of transorbital lobotomies. I was neither a psychiatrist nor a neurologist. I was just a very very green beginner here who hardly spoke any English, and he was a big shot at that time. These patients were not young ones. I think they were all about 30 or 40 years old. I knew two of them. After the operation I found that they had changed in their personality. My impression, which I remember still, was that they didn’t ask any questions. Expression of deep turmoil in their heart or in their soul was subdued. There was something missing: emotions, I would say. You know, if you were to converse with somebody there’s always emotion with it. Just take all of your emotion out of a conversation with somebody and what’s left? Patricia Moen was lobotomized by Walter Freeman in 1962 at the age of 36. 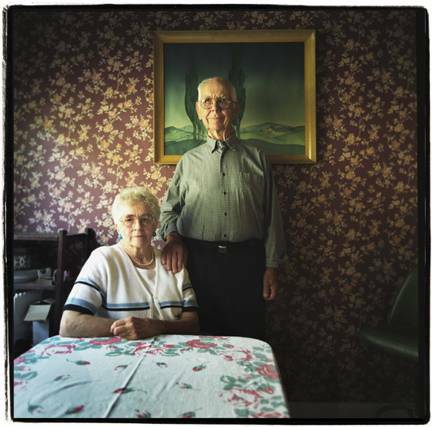 This is the first time she and her husband have spoken about her lobotomy (photo by Harvey Wang). GLEN MOEN: My name is Glen Moen. I am 79 years old. I signed the release for Pat’s lobotomy. PATRICIA MOEN: We have not talked about it, since I had the lobotomy – I don’t think ever. My husband is not a great communicator. GM: I don’t talk to her anymore than I have to. PM: Glen – be nice! (both laugh). We’d been married about 13 years, and it just started. I cried all the time. I just was mentally no good. GM: One night I came home and she said, “Well, I’ve done it now!” She’d taken a whole bottle of some kind of pills…. PM: That’s when the doctor decided it was time. GM: He told me this was the last resort. I didn’t know what else to do. PM: Dr. Freeman said you can come out of this a vegetable, or you can come out dead. And I guess I was miserable enough that I didn’t care. GM: I was kind of worried because of the operation of severing a nerve in the brain…It sounded kind of wild to me! PM: …He was afraid he was going to lose his cook. GM: And I don’t like to cook. PM: I remember nothing after I saw Dr. Freeman. I don’t remember going into the hospital, or having it done, or how long I was there. That’s all gone. GM: We were coming back from San Jose after the operation, and Pat informed me that she couldn’t wait to get home because she wanted to file for divorce. PM: Hmmmm…. Don’t remember that at all. I don’t think I said it. GM: I think I just went on driving and ignored the situation and began to wonder to myself how much good did this operation accomplish. Really, I can see no changes in most areas except she is much easier to get along with. GM: Delighted at the way it turned out. It’s been a good life. The two procedures differ in how the doctor gets access to the brain. In a prefrontal lobotomy, the doctor drills holes in the side or on top of the patient’s skull to get to the frontal lobes. In the transorbital lobotomy, the doctor accesses the brain through the eye sockets. Freeman started out by doing prefrontal lobotomies, but later created the transorbital lobotomy, which he considered to be an improved version of the original procedure. The transorbital lobotomy left no scars (apart from two black eyes), took less than 10 minutes, and could be performed outside of an operating room. According to Freeman, it produced better results. What effect did the transorbital lobotomy have on patients? Freeman believed that cutting certain nerves in the brain could eliminate excess emotion and stabilize one’s personality. Indeed, many people who received the transorbital lobotomy seemed to lose their ability to feel intense emotions, appearing childlike and less prone to worry. But the results were variable, according to Dr. Elliot Valenstein, a neurologist who wrote a book about the history of lobotomies: “Some patients seemed to improve, some became ‘vegetables,’ some appeared unchanged and others died.” In Ken Kesey’s novel One Flew Over the Cuckoo’s Nest, Randall McMurphy receives a transorbital lobotomy. What type of patients received lobotomies? About 50,000 people received lobotomies in the United States, most of them between 1949 and 1952. About 10,000 of these procedures were transorbital lobotomies. The rest were mostly prefrontal lobotomies. Walter Freeman performed about 3,500 lobotomies during his career, of which 2,500 were his “ice pick” procedure. Did Freeman operate on Rosemary Kennedy? Yes, he did in the summer of 1941. This operation was one of his most famous failures. Freeman and his neurosurgeon partner James Watts performed a prefrontal lobotomy on Rosemary Kennedy, leaving her inert and unable to speak more than a few words. After her lobotomy she was sent to live at Saint Coletta’s School in Wisconsin, where she remained until her death in 2005 at the age of 86. There’s some controversy about this. 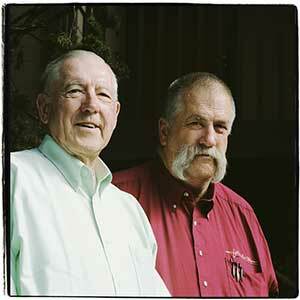 Though Freeman’s son Frank Freeman believes that his father did, there is no documentary evidence to support this. To learn more, visit Shedding Light on Shadowland. Walter Jackson Freeman II born. Freeman arrives in Washington, D.C. to direct labs at St. Elizabeth’s Hospital. Freeman modifies Moniz’s procedure, renames it the “lobotomy,” and with his neurosurgeon partner James Watts performs the first ever prefrontal lobotomy in the United States. His patient is Alice Hood Hammatt, a housewife from Topeka, Kansas. While working in his office, Egas Moniz is shot multiple times by a patient. He survives but is left partly paralyzed. Freeman begins experimenting with a new way of doing the lobotomy, after hearing about a doctor in Italy who accessed the brain through the eye-sockets. 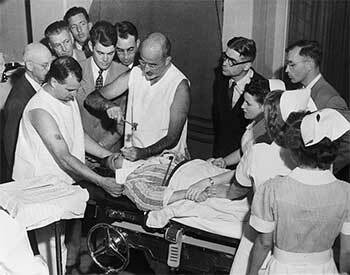 Walter Freeman performs the first transorbital lobotomy in the United States on a 29-year-old housewife named Sallie Ellen Ionesco in his Washington, D.C. office. Egas Moniz wins the Nobel Prize for lobotomy. He’s nominated by Walter Freeman. Watts expresses disapproval of the transorbital lobotomy procedure, and the two eventually break their long-time partnership. Freeman barnstorms the nation, performing and teaching the transorbital lobotomy at state hospitals. Freeman performs 228 transorbital lobotomies in a two-week period in West Virginia for a state-sponsored lobotomy project, dubbed “Operation Ice Pick” by newspapers. Era of widespread hospital psychosurgery fades away with introduction of chlorpromazine (Thorazine). Freeman moves to California and sets up an office in Sunnyvale. Egas Moniz dies at the age of 81. 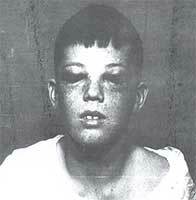 Freeman lobotomizes Howard Dully, 12, at Doctor’s General Hospital in San Jose, California. Freeman performs his final transorbital lobotomy on Helen Mortensen. It’s her third lobotomy by him. She dies from a brain hemorrhage following the procedure. Freeman is banned from operating again. Freeman retires and embarks on cross-country follow-up studies of his lobotomy patients. Freeman dies of cancer at age 76. A Hole in One (2004), a film about the “ice pick” lobotomy starring Michelle Williams and Meatloaf. An excerpt from Dr. Walter Freeman’s unpublished autobiography. The Christmas card Dr. Freeman sent to his lobotomy patients. “My Lobotomy” is Howard Dully’s deeply personal journey to uncover the secrets of his past. Like many Sound Portraits documentaries, “My Lobotomy” is told from the point of view of the subject. In this case, the narrator is Howard Dully, a 56 year old bus driver who received a lobotomy when he was 12. As producers, our job entailed verifying the historical and factual accuracy of the documentary, while at the same time enabling Howard to share his experience in his own words. During the two years we spent working on this documentary, we conducted dozens of in-person and telephone interviews. By the end we had recorded nearly 100 hours of tape. Distilling all of this into a 22 minute radio documentary (the longest segment possible for broadcast on All Things Considered) was a challenging task. The guiding principle behind all of our editorial decisions was to uphold the essential truth and integrity of Howard’s story. According to his medical records, Dr. Freeman diagnosed Howard as schizophrenic. Independent analysis of his records indicate that this was an unfounded and incorrect diagnosis. Rebecca Welch’s mother, Anita Johnson McGee, was Walter Freeman’s patient. She received three lobotomies. Freeman performed the first one; the other two lobotomies were performed by doctors he recommended. While it’s impossible to pinpoint exactly what caused her current condition (whether it was her three lobotomies or years of electroshock treatment and drugs), her daughter holds Walter Freeman responsible. After speaking with Rebecca Welch, reading her mother’s medical records, and interviewing other family members of lobotomy patients, we felt her story expressed a common sentiment. We believe it was important to include it in the documentary. Opinions on Walter Freeman vary enormously. In “My Lobotomy” we portrayed Walter Freeman through Howard Dully’s eyes after considering all of the evidence we together uncovered. By the end, we saw him as a physician who started out with good intentions, but whose ego and hubris caused him to lose direction. This opinion was verified by numerous other sources. Distilling 22 minutes from nearly 100 hours of tape meant that we couldn’t include everyone we interviewed. Below is a list of all the interviews we conducted. Even though some were not included in “My Lobotomy,” they were all essential to the shaping of the final documentary. Patricia Derian: witnessed Walter Freeman operating when she was a student nurse in 1948. 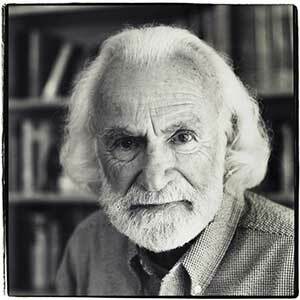 Dr. Karl Pribram: friend and colleague of Walter Freeman. 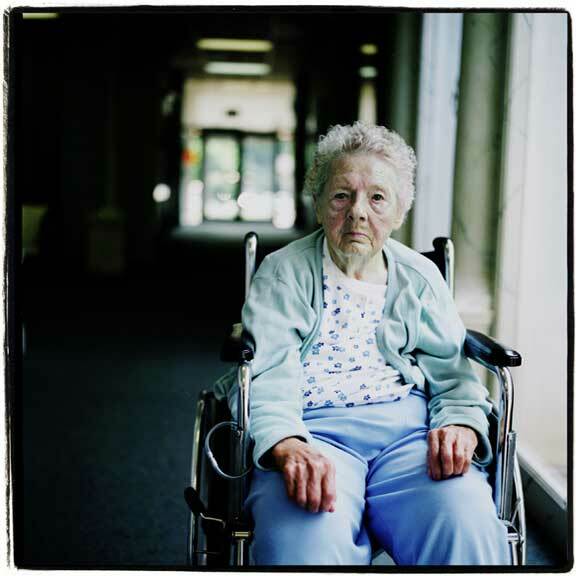 Helen Culmer: a nurse at Laikin State Hospital in West Virginia. Read her oral history above. Dr. Wolhard Baumgartel: a doctor at Athens State Hospital in Ohio. Read his oral history above. 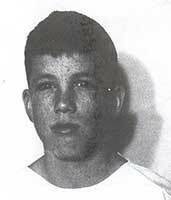 Larry: a psychiatric ward attendant at Herrick Memorial Hospital in Berkeley, CA in the 1960s, who requested that his last name not be used. Dr. Paul Chodoff: one of Walter Freeman’s four student interns in 1946. He is a psychologist. Ann Krubsack: was lobotomized by Walter Freeman in January, 1961 at Doctor’s General Hospital in San Jose, California. 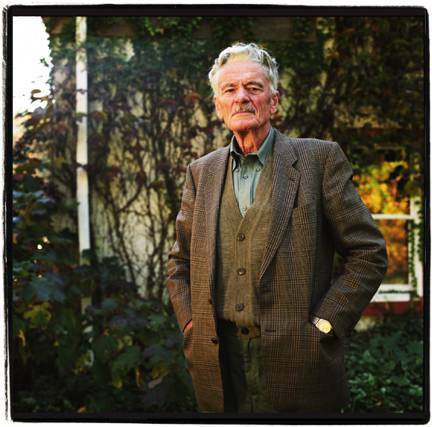 Dr. Paul Freeman: one of Walter Freeman’s three sons. He is a psychologist. Dr. Walter Freeman III: a professor of neurobiology at the University of California. Frank Freeman’s twin brother. Patricia and Glen Moen: she was lobotomized, and her husband, Glen, signed the release. Read their oral history above. Barbara Dully: Howard Dully’s wife. 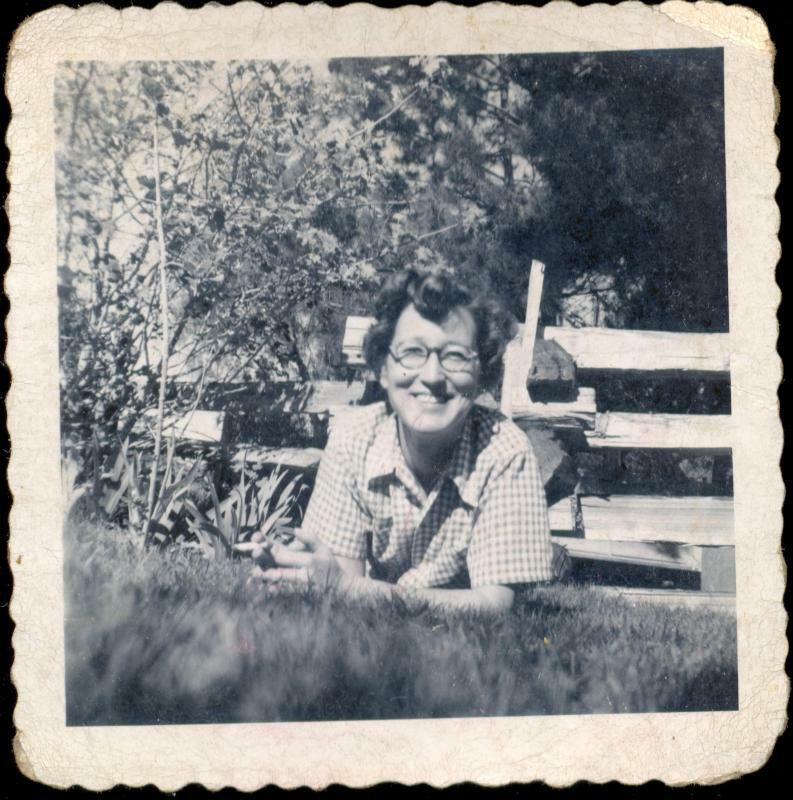 Kathleen: a relative of one of Walter Freeman’s lobotomy patients, who requested her full name not be used. Dr. Gary Cordingley: neurologist at Athens State Hospital. Dr. Robert Lichtenstein: nerologist who was in the operating room during Howard’s “ice pick” lobotomy. Joel Braslow: author, “Mental Ills, Bodily Cures-Psychiatric Treatment in the First Half of the Twentieth Century,” University of California Press, 1997. Robert Whitaker: author, “Mad In America-Bad Science, Bad Medicine, and the Enduring Mistreatment of the Mentally Ill,” Perseus Publishing, 2002. Edward M. Opton: author, “The Mind Manipulators: a non-fiction account,” Paddigton Press, 1978. Christine Johnson: founder of www.psychosurgery.org. 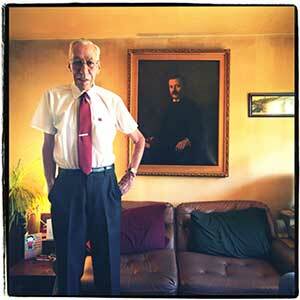 Dr. Allan F. Mirsky: research psychologist at National Institute of Mental Health 1954-1961. Former president of International Nueropsychological Society. Dr. Maressa Orzack: worked with Dr. Mirsky on a study commissioned by Congress in 1976 on the affects of psychosurgery. Dr. Janet Colaizzi: author, “Predicting Dangerousness: Psychiatric Ideas in the United States, 1800-1983,” Ohio State University, 1983. Shirley Smoyak: president of The Journal of Psychiatric Nurses Association. Grayce Sills: Head of nursing at Ohio State hospital in the 1950s. Meredith Fulton: daughter of Jonathan Williams, who was Freeman’s partner after James Watts. Ann Dillard & E.N. Jr Dillard: daughter & husband of one of Freeman’s patients. W.K. : one of Freeman’s patients who shared his story off-the-record. C.B. : wife of one of Freeman’s patients who shared her husband’s story off-the-record. Recorded in New York City. Premiered November 16, 2005, on All Things Considered. DERIAN: And the first person was brought in and strapped down given an electroshock. HELEN CULMER: He had a instrument to me it looked like a nail, a great big nail. FRANK FREEMAN: It looked like a screw-driver, only a sharp point. KARL PRIBRAM: It was an ice pick. J. LAWRENCE POOL: An ice pick! WOLFHARD BAUMGARTEL: They call it ice pick, but of course it was a surgical instrument. POOL: slip it under the eyelid. ELLIOT VALENSTEIN: And he tapped it above the eyeball. PRIBRAM: Through the orbit of the eye. ROBERT LICHTENSTEIN: So there’d be a little crunch. POOL: And then he’d shove it up into the forward part of the brain. BAUMGARTEL: and then he did the other side. LARRY: He took the probes, he put his hands on each one and then he twirled them kind of in an eggbeater fashion for a little while in the frontal part of the brain. LICHTENSTEIN: And then he would take a picture of it. LARRY: Then he just took hold of each probe and pulled it with a big yank and that was that. FREEMAN: It took between 7 and 8 minutes it was very quick. BAUMGARTEL: the patient went out, the next patient was ready to come in, and had his procedure done, and then the next patient came in. DERIAN: There was total silence among those of us who were watching. It was riveting. 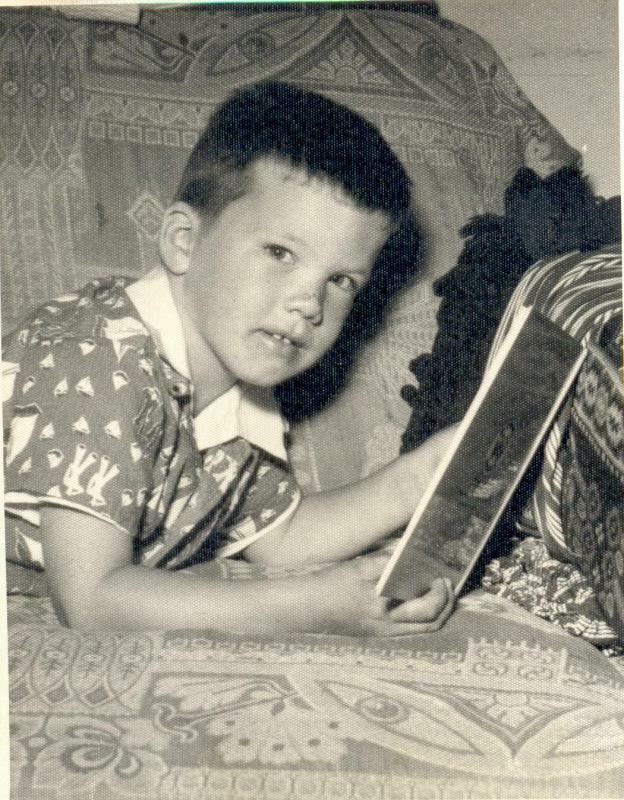 DULLY: This is Howard Dully In 1960, when I was 12, I was lobotomized by this man– Dr. Walter Freeman. Until this moment I haven’t shared this fact with anyone- except my wife and a few close friends. Now I’m sharing it with you. WF AUDIO: Lobotomy was done at that time (fades out). DULLY: Frank Freeman is 79-years-old and works as a security guard. I ask him what he remembers about the procedure his father created in 1946. DULLY: Frank Freeman tells me that the operation was invented in Portugal in 1935. The original procedure involved drilling holes in the patient’s skull to get to the brain. Walter Freeman brought the operation to America and gave it a name: the Lobotomy. Freeman and his surgeon partner performed the first American lobotomy in 1936it made the front page of the New York Times. They called it Surgery of the Soul. Walter Freeman and his lobotomy became famous. But soon he grew impatient. FREEMAN: My father decided that there must be a better way. DULLY: He set out to create a new procedure- one that didn’t require drilling holes in the head the trans orbital lobotomy. Freeman was convinced that his 10-minute lobotomy was destined to revolutionize medicine- and spent the rest of his life trying to prove his point. FREEMAN: I guess you could call it a magnificent obsession… I’ve never been able to sit down and talk with one of my father’s patients. Been a darn good experience to meet you. DULLY: It’s opened my eyes some. DULLY: So are you, are you proud of your father? DULLY: The age of the ice pick lobotomy started out with promise. Walter Freeman performed the procedure for the first time in his Washington DC office on January 17, 1946. His patient was a housewife named Ellen Ionesco. Her daughter, Angelene Forester, was there that day. ANGELENE FORESTER: She was absolutely violently suicidal beforehand. After the trans-orbital lobotomy there was nothing it stopped immediately. It was just peace. I don’t know how to explain it to you, it was like turning a coin over. That quick. So whatever he did, he did something right. DULLY: Today Ellen Ionesco is 88-years-old and lives about a mile from her daughter in a nursing home in Virginia. 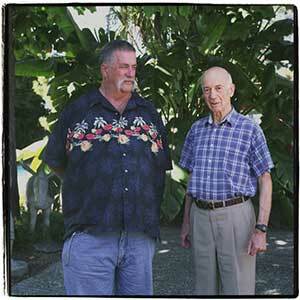 Walter Freeman kept in touch with his first trans-orbital patient for the rest of his life. SALLIE ELLEN IONESCO: He was just a great man. That’s all I can say. FORESTER: Do you remember what his face looked like mama? FORESTER: Do you remember his office? IONESCO: I don’t remember that eitherI don’t remember nothing else, and I’m very tired. FORESTER: Do you want to go lie down. I remember sitting on his lap and his beard was pointed and it was very soft. As a child you kind of see into people’s souls and he was goodat least then I don’t know what happened after that. I wish he hadn’t gotten quite so out of hand. DULLY: By 1949 the trans-orbital lobotomy had caught on. Walter Freeman lobotomized patients in mental institutions across the country. He narrated this instructional movie promoting the procedure. FREEMAN AUDIO: This is a boy of 19 a dreamy sensitive individual interested particularly in the current musical idiom of bebop. Trans-orbital lobotomy was performed on August 1. ELLIOT VALENSTEIN: It was a terribly crude procedure. DULLY: I interviewed Dr. Elliot Valenstein who wrote a book about the history of lobotomies. VALENSTEIN: There were some very unpleasant results, very tragic results and some excellent results and a lot in between. DULLY: Why do you think the procedure became so popular? VALENSTEIN: Well primarily because there was no other way of treating people who were seriously mentally ill. The drugs weren’t introduced until the mid 1950s in United States and psychiatric institutions were overcrowdedthey were willing to try almost anything. WF AUDIO: The operator lifts the upper eye-lid(fades out). DULLY: By 1950 Walter Freeman’s lobotomy revolution was in full swing. Newspapers described it as easier than curing a tooth-acheFreeman was a showman and liked to shock his audience of doctors and nurses by performing two handed lobotomies: hammering ice picks into both eyes at once In 1952, he performed 228 lobotomies in a 2-week period in West Virginia alone lobotomizing 25 women in a single day. Through it all, Freeman’s fame grewBut he wasn’t satisfied. He decided that his 10-minute lobotomy could be used on others besides the incurably mentally ill.
DULLY: Good to see you. NOELL: It’s good to see you. DULLY: I fly to Atlanta, Georgia to meet Carol Noelle. Carol tells me her mother suffered from severe headaches In 1950 she was referred to Walter Freeman, who prescribed a transorbital lobotomy. NOELL: That’s when the fun began. DULLY: The procedure cured Carol’s mom of her headaches, but it left her with the mind of a child. NOELL: Will you hand me Anna Ruth’s picture from back there. That’s her. Is she pretty? NOELL: She was so smart, she was so smart but she had no place to put it. The only outlet she had was beating every pinball machine in town and knowing how many pennies were in the jar at the carnival, you know. She was the greatest playmate we ever had, and the best friend, and we loved her to death but I never remember calling her Mama, or Mommy or anything.I never even thought of my mother as my daughter’s grand mother. And I never even took my daughter to see her. Not one timeso she never even got to have that. DULLY: So needless to say if I ask you that if you think about this a lot would be an understatement. Why are we even why are you bothering? DULLY: Because it’s not ok. It’s not finished. POOL: My name is Dr. J. Lawrence Pool. I am now 97-years-old. I dedicated my life to brain surgery. I did not approve of Dr. Freeman’s ice pick method, no. I said, “Walter I don’t approve of this procedure.” He knew that. Dr. Freeman did some in his office and would send the patients home by taxi-cab, just as you go to the dentist and get a filling and send them home by taxi. I tell you it gave me a sense of horror. How would you like to step into a psychiatrist’s office and have him take out a sterilized ice pick and shove it into the brain over your eyeball? Would you like the idea? No. DULLY: In 1954 with the introduction of the first psychiatric drug, Thorazine, Walter Freeman’s lobotomy revolution was over. Almost overnight, there was no more demand for his services. The procedure was obsolete. But Walter Freeman refused to let go. He opened a small office in California and kept on performing the procedure the office happened to be only a couple of miles from my home. DULLY: I fly to Washington DC to visit the the George Washington University archive which holds 24 boxes of Walter Freeman’s sealed files I request to see my records. I’m the first patient ever to do so. DULLY: My file has everything a photo of me with the ice picks in my eyes, medical bills But all I care about are the notes- I want to understand why this was done to me. DULLY: It’s pretty much as I suspected. My real mother died of cancer when I was five. My dad remarried, and his new wife, my stepmother, hated me. I never understood why, but it was clear she’d do anything to get rid of me… Evidently she heard about Dr. Freeman and figured he could help. DULLY: After a couple of weeks of building her case she brought me to meet Dr. Freeman. This is the physician’s service report. “Transorbital lobotomy: a sharp instrument was thrust through the orbital roof, and moved so as to sever brain pathways in the frontal lobes. 200 dollars for surgery” So the whole thing was 200 bucks. Well, that’s pretty cheap. How fantastic. DULLY: When my stepmother saw the operation didn’t turn me into a vegetable, she got me out of the house… I was made a ward of the state It took me years to get my life together… Through it all I’ve been haunted by questions: ”Did I do something to deserve this?”, ”Can I ever be normal?”, and most of all, “Why did my dad let this happen?” In 44 years we’ve never discussed it once– not even after my step-mother died. It took me a year of working on this project before I even got up the courage to write him a letter. DULLY: I couldn’t believe it– my dad agreed to talk. HOWARD DULLY: I’m here with my dad. I’ve waited for over 40 years for this moment, thank you for being here with me. RODNEY DULLY: I tell you anything that needs to be answered. HD: OK, so we’re here to talk about my trans-orbital lobotomy. So how did you find Dr. Freeman? HD: My question would be naturally, why would you let it happen to me if that was the case? HD: Did you ever meet Dr. Freeman. And what was he like? HD: Have you ever seen a picture of the operation? DULLY: I show my dad the photograph of me at 12 years old with the ice picks in my eyes. RD: The thing I’m intrigued by is how you look so calm. HD: Is there anything in this that you regret at all? RD: See that’s negative. And I don’t dwell on negative ideas. And what am I talking about? RD: I always try to be positive. I don’t make it always. HD: But this has, this has really affected my whole life. RD: Nobody is perfect. Could I do it over again, would I haveoohhhhh hindsight’s beautiful. Fifty years later I can say this was a mistakeSo was World War I a mistake. HD: So why do you think it’s been so hard for us to talk about this, in your estimation? RD: Largely because you never asked about it, you never asked about it. It was an unpleasant part of my life and I don’t particularly want to delve into it. DULLY: Although he refuses to take any responsibility, just sitting here with my dad and getting to ask him questions about my lobotomy is the happiest moment of my life. HD: Well I want to thank you for doing this with me, I really do. I never thought that this would ever happen. RD: Well you see miracles occur. HD: Actually what I wanted to do was tell you that I love you. RD: Whatever made you think I didn’t know that. You shaped up pretty good! HD: And I feel very happy about that. RD: That’s what I wanted to hear. DULLY: After 2500 operations, Walter Freeman performed his final ice pick lobotomy on a housewife named Helen Mortenson in February 1967. She died of a brain hemorrhage, and Freeman’s career was finally over. But he never lost faith. He sold his home and spent the rest of his days traveling the country in a camper, visiting old patients, trying desperately to prove that his procedure had transformed thousands of lives for the better… Walter Freeman died of cancer in 1972. To those few who remember his name, most think of him as a monster. REBECCA WELCH: I don’t know who could have perceived this procedure as a miracle cure. The only thing I see that came out of it was hurt and pain for a lot of people. DULLY: Rebecca Welch’s mother Anita was lobotomized by Dr. Walter Freeman for post partum depression in 1953. WELCH: You’re all dressed up today. WELCH: What was that song mom, remember? WELCH: She’s there, but she’s not there. WELCH: Basically, it’s been so painful I’ve tried to stay very far away from it for a long time. Kind of like if you leave it alone it will go away. But it never goes away. DULLY: So what has changed your mind about hiding from it? WELCH: You. Do you know how many people you’re championing? Do you know how many people that can’t do what you’re doing and you’re doing it for them? DULLY: It does wonders to know that other people have the same pain. HOWARD: This is Howard Dully. OUTRO: ”My Lobotomy” was produced by Piya Kochhar and Dave Isay at Sound Portraits Productions. The editor was Gary Covino. Special thanks to Larry Blood. Major Funding for “My Lobotomy” was provided by the Corporation for Public Broadcasting. With additional support from the National Endowment for the Arts.